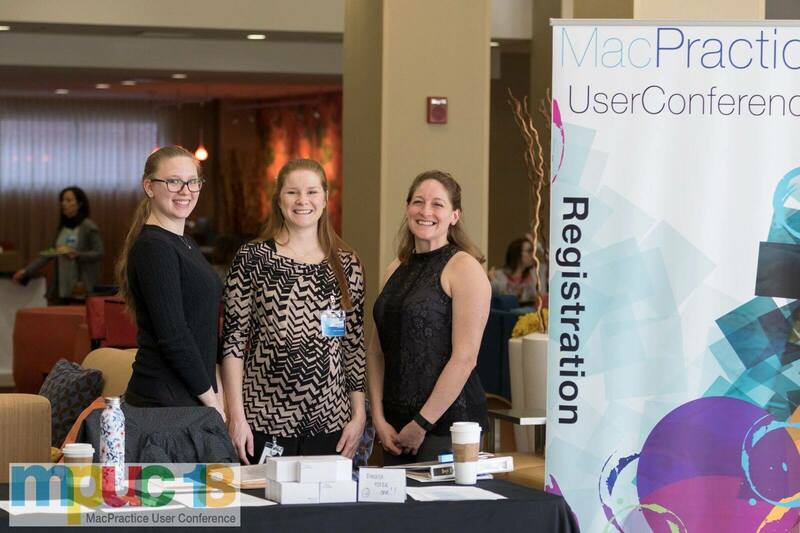 The 2018 MacPractice User Conference is a wrap! For those of you that missed it, or perhaps want to relive it or share the experience of the event with colleagues, we’ve curated a few of our favorite memories in this blog post. We want to thank everyone who attended this year. All of our excellent speakers, sponsors, attendees, and event organizers added to the community surrounding the event and made it the incredible success that it was. This year, attendees joined us from 22 different states all across the US from Maine to California. Anyone traveling around 1600 from a coast to meet us at our home office in Lincoln, Nebraska is aces in our book! We are so glad you could make it. We saw some familiar faces of clients we have worked with in past trainings or conferences – a few of the attendees have even been MacPractice clients since the MediMac/MacHealth days! A big standout for us was being able to offer Continuing Education Credits to MacPractice DDS clients. We sincerely appreciate the patience that these clients have had as we learn how to serve this aspect, as well as all of your feedback on how we can grow our Continuing Education program. We&apos;re excited about the potential of having this benefit for more of our training events, such as the MacPractice Academy, in the future. One of our most well received sessions during MPUC 2018 was hosted by Jive, an efficient and affordable VoIP phone system with a new integration coming in MacPractice. Jive and MacPractice have worked together to deliver a seamless native experience right inside the software. Attendees were thrilled to learn this service will allow them to call patients with the click of a button and deliver a personal touch with intelligent caller ID, and that soon you’ll even be able to store call recordings in your patient files. Both of the sessions hosted by Jive ran long as discussions and questions were flying! Todd and Chelsea from Jive did a terrific job of showing how they can tailor their product to our offices and we&apos;re excited about our partnership with them! To check out a few of our favorite images, head over to Facebook for the album of photos by Tim Buchholz. Feel free to &apos;Like&apos; us while you&apos;re there!